President Joseph Kabila reached the constitutionally-mandated end of his second term in December 2016. His refusal to step down triggered protests throughout the country. The Catholic Church mediated an agreement, signed by the government and members of civil society on New Year’s Eve 2016, which promised that in 2017 elections would be held, Joseph Kabila would step down as President, and a transitional government would be installed. As 2017 progressed it became clear that the government was not proceeding in good faith with the promises of the New Year’s Eve agreement. Government officials have responded to civilian protests by arresting protestors, confiscating the photos of journalists and limiting Internet and social media communication in Congo. Most recently, the Congolese government has issued a requirement for a new biometrics passport for all Congolese citizens – effective mid-October. Most Congolese will not be able to get a new passport in this short period of time and will therefore be unable to travel out of the country – or, if they are currently out – return home. 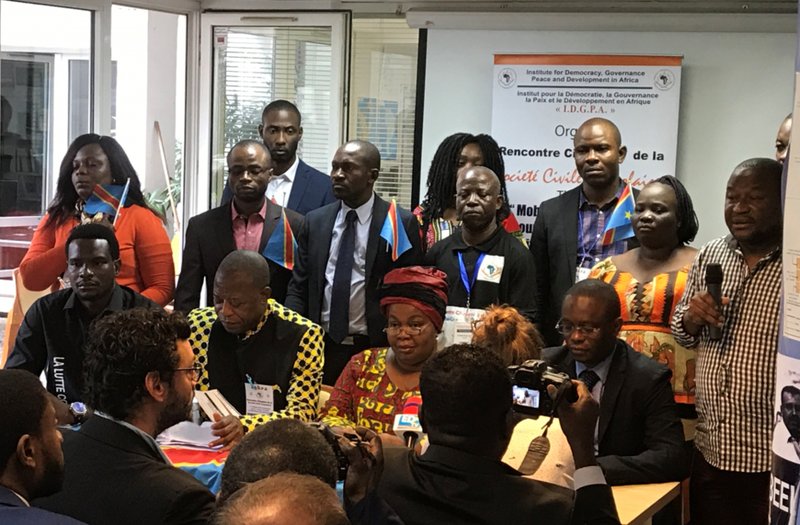 For more details on the “Manifesto of the Congolese Citizen” and to read updates on the most recent events, visit Human Rights Watch.